Our all-inclusive, retreat is just what you've been looking for to achieve a happier, more vibrant you, who is connected and feels great about being a women. All you need to bring is your fabulous self. Everything else is supplied. 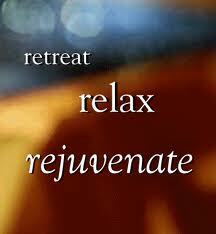 With our weekend all-inclusive retreats investing in a more balanced and happier you, has never been easier. Please email or phone us for more information. But hurry! Only a very limited number of places available and they do sell out quickly. To find out more or to reserve your spot please email sherry at sherry@inner-rhythm.net or phone 0412 966 851.